How can I convert my SSL to a format accepted by Pipe Ten? Google launched a new ranking algorithm to give SSL enabled websites a ranking boost. SSL is where you see https:// or Padlock symbol in your browser address bar, it means any information you exchange with a website is encrypted and protected from disclosure to third party while in transit / going over the internet. Unlike their other Google algorithms the SSL ranking is a live algorithm and updates your page ranking in real time, so you could see your website move up in the rankings within a couple of hours. This isn’t a side wide algorithm but one that runs on a per URL basis so any URLs that are HTTPS enabled will be ranked higher, those without HTTPS won’t. As many people initially believed, this SSL ranking update isn’t at all related to Google’s earlier Panda search update. 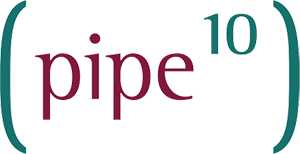 First request Pipe Ten fully managed SSL, this includes the ordering, issuing, signing, installing, testing and complete assistance for a certificate. For those with SEO in mind, the Standard SSL is sufficient. Once installed, you can test for any problems (mixed content warnings) to be fixed in your code/website template, before updating your website links to explicitly reference the “https://domain.ext/page.html” version rather than the “/page.html” relative version. For WordPress and other CMS this can often be done in-bulk via Settings > General. In our own experience with moving www.pipeten.com to https:// by default, Google will start to notice your changes and start to reference the https version or your website in its search results. The first results you’ll likely see change are your most popular pages, as these likely be those crawled the most. It can take a matter of hours to days to see the first results but you could expect weeks for complete update.